If you didn’t notice but last month Lahaina was missing an icon, Myrtle the steam engine flagship of the Lahaina Kaanapali Pacific Railroad. The LKP Railroad and the Sugarcane Train are back on track thanks to Tropic Water and Water Source. When the Railroad’s industrial water purification system went down so did the steam locomotives. Pure water is a crucial component for the Sugarcane Train steam engine. Tropic Water and Water Source were contracted to design and install a water purification plant that would be easy to operate with minimal service while affording the railroad years of uninterrupted pure water source. 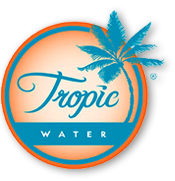 Tropic Water and Water Source was able to design, source, ship and install the complete plant in a very short amount of time to minimize the Steam Engine’s down time. The installed system utilizes commercial membrane technology controlled by a programmable logic computer that monitors the appropriate water flow over the membranes to ensure an efficient purification process. This mini-plant purifies the water down to a microscopic level yielding over 7000 gallons a day of ultra-pure water. 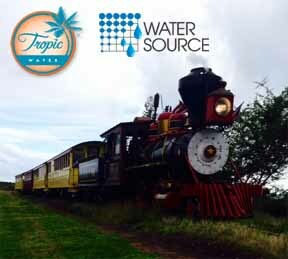 This system will meet the long term needs of the Lahaina Kaanapali Pacific Railroad and with the on-going support of Tropic Water and Water Source, Lahaina’s visitors should have years of enjoyment on one of West Maui’s treasures.